The United States is obsessed with skyscrapers. In cities all around America, architects and city planners are looking to the sky. The tallest building in the United States is common knowledge: One World Trader Center. Obviously that is also the tallest building New York State. But do you know the tallest buildings in the other 49 states and Washington D.C.? 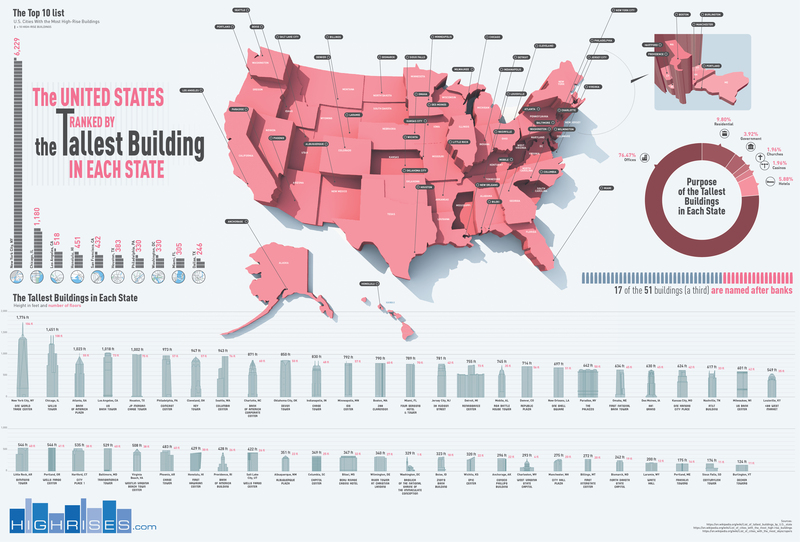 This infographic by Highrises.com ranks each state by their tallest building and adds a nifty side-by-side comparison at the bottom.